Professional Teeth Whitening in Glendora | Stephen W. Bowen, DMD | Zoom! When you leave our dental office, we want you to have a sparkling white smile that instills confidence and a sense of wellbeing. To meet this goal, Drs. Stephen Bowen and John Wang offer teeth bleaching treatment in Glendora to correct a variety of circumstances that have dulled and stained teeth. Whether you are a routine wine and coffee drinker or are looking for a boost in whiteness after orthodontics, our whitening solutions fit any smile. Which Teeth Whitening Treatment is Best? 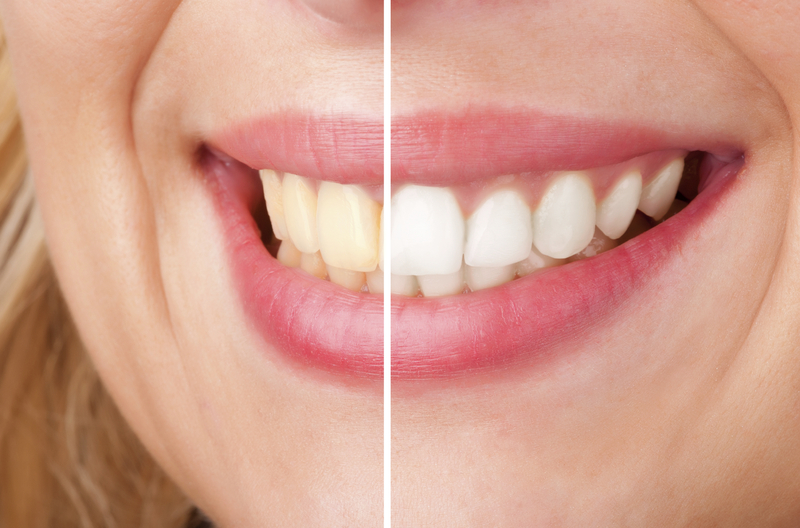 As patients experience teeth discoloration for a variety of reasons, and in varying degrees, there is no one whitening solution that provides ideal results for every single patient. For this reason, we customize treatment after first listening to your concerns and what lifestyle habits or other issues may have led to dental discoloration in the first place. Our Glendora cosmetic and family dentists offer both in-office and take-home teeth whitening for adults and teens, depending on the level of staining, patients’ age, and the root cause of stains. While older patients may need comprehensive whitening, teenaged patients may do well with a more moderate approach. Drs. Bowen and Wang take the above issues, as well as teeth sensitivity, into account when determining which whitening product is best for you. NiteWhite by Philips Zoom! – Drs. Bowen and Wang take impressions of your smile to create custom trays that hold the whitening gel in place. You can wear the trays at home while getting ready in the morning or while doing household chores, at your own pace. This take-home bleaching treatment is often better suited for severe discoloration in adult patients, as trays are typically worn for a longer periods of time and can more effectively lift deep stains. SheerWhite Strips – This over-the-counter, doctor-dispensed whitening solution utilizes strips that adhere to teeth and are coated in a whitening agent. Our cosmetic dentists find these strips are preferred by young patients, as they as not as bulky as custom mouth trays. SheerWhite provides the perfect whitening touch-up after procedures like braces, when teeth are harder to keep white. Internal Teeth Bleaching – In many cases, the cause of teeth staining is internal. Patients who have had a root canal to treat an infected tooth may have a healthier smile, but will notice that damage to pulp has left the affected tooth looking dull and dark. Before having your permanent crown applied, Drs. Bowen and Wang internally apply a small bleach pellet, which works to lighten tooth shade from the inside out. After a few days, the bleach pellet can be removed and your healthy and white tooth can be permanently sealed and restored. For more information about how our dentists can conveniently and effectively whiten your smile, contact Dr. Stephen Bowen and Dr. John Wang for your teeth whitening consultation at our Glendora dental office.